My baby's birth has brought the biggest change in my life. When i got married i thought it to be the biggest event/ turning point in my life, but alas it wasn't. Getting married is a cosmetic change, a change of place and people you live with; but becoming a parent, esp. mother stirs your soul, changes your mental abilities and pushes you beyond your physical capabilities, it is life changing in every way. Since the day i bacame a mother, things started happening that had never happened before.. sleep became a luxury that we couldn't afford for 3 long months> more than 90 days we were sleep deprived. I wouldn't call it the best time, but we did sail through, everybody does. Being a mother made me highly efficient, I have never felt so efficient before in my life. I can multi-task, take shower in 2 minutes( even maggi takes longer to cook),dress up carrying him in my arms, cook multiple things or do multiple chores while carrying this little boy , some of my accomplishments being the loo visits with him on my lap or that hair cut that I got 10 months back, with him on me in the baby carrier. In fact my career stints where i was handling multiple profiles could never neither make me this efficient,nor this content. My salary account may be stagnant or dwindling but i haven't felt so rich in life before. Parlour visits, grooming sessions don't matter at all and trust me, i may look bad but haven't felt so beautiful ever before, not even on my wedding day when i had kilos of makeup on. 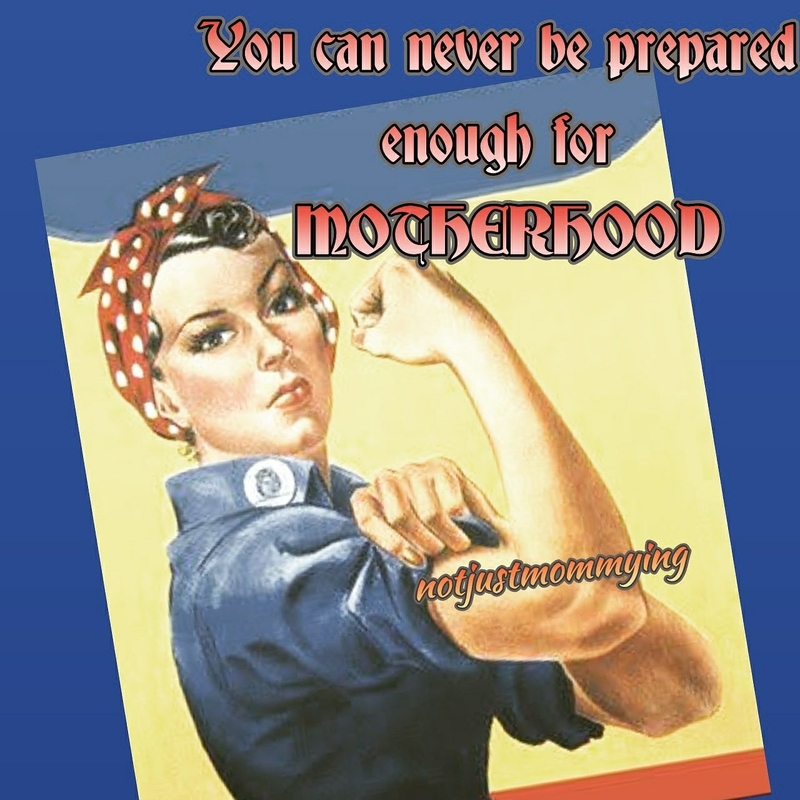 Motherhood has made me a stronger person, someone who wouldn't compromise over standards of things or principles. 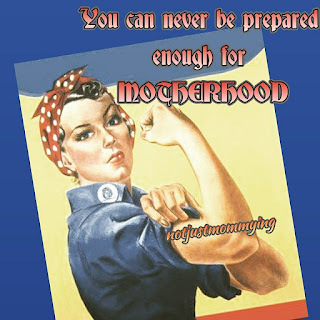 Motherhood has made a researcher and an analyst out of me, from baby poop to cloth diaper to baby food I have almost done P.hd on all baby related subjects. Analyst because I seem to analyse how each of my actions or words would affect my child. Funny as it may seem, I am sure you would agree that we become too cautious of our words and actions with babies being around. As parents we don't want our kids to take on our vices or habits that we detest in ourselves, so, now is the time for transformation, bringing self-discipline and leading a healthier life; only my baby could get us to do this. Life hasn't actually just changed for me, it has also changed drastically for daddy dear. Someone who is the life of every party, suddenly decides to switch the lights off at 10 and sleep just so that baby's routine doesn't hamper is quite shocking! There are many other changes that daddy has gone through too , let me save them for another other post, may be for "How fatherhood changed my husband". Parenting is tough, but the little joys that each day brings makes it worthwhile. A shout out to all wonderful mothers and fathers, together you all make this world a better and saner place. This post is a part of the blog train- 2 started by Pooja Kawatra of Mums & Babies where she has brought together mothers from across the globe. 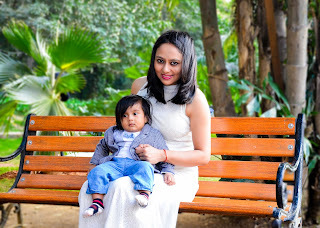 Do read her blog post on How Motherhood has changed me and more on the blog train Here. 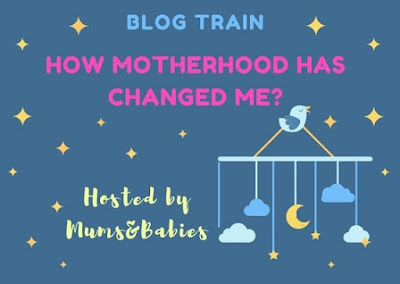 I want to thank Nandita of ThatImperfectMom for introducing me and I invite Anisha from Momzdiary to board the train with me and share her views on the same. Anisha from momzdiary is a mother to a 1 year old, she likes to document her daily life with her baby, share lots of parenting hacks for new moms and review all types of Baby Products. Parenting is the most beautiful experience and this goes for all the Moms .. Her blog will take you through lots of parenting emotions, hacks and reviews !! Thank you.. :) glad that you could relate. Every single point is true! We become so efficient after becoming a mommy ! Loved this ! Lol.. yes, we becomevwaybtoo efficient. Ha ha .. so true.. Such a beautiful post dear.i can totally relate. Once a baby comes not just the mothers but the dads too change. Great post! You are so right about multitasking. Eating, feeding, reading...I have don't it all together at the same time. Totally relate to it! I like what you are saying about self discipline.. I find it so difficult to practice this..